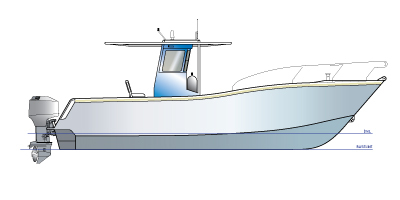 Bruyn Design’s workboat monohulls have their roots in the demanding West Coast Rock Lobster industry. The performance, sea keeping and load carrying demands on these vessels have made them probaly the world’s best high speed work boats. 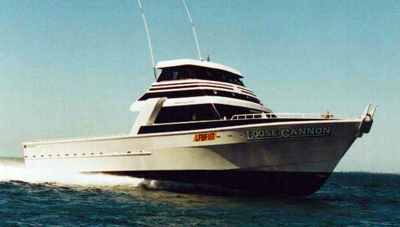 Bruyn Design’s examples include the awsome 18.3m, 48 knot “Loose Cannon”. 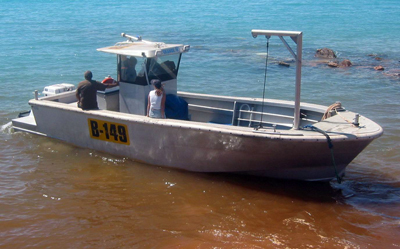 The pearling industry in the North of Western Australia relies on large numbers of quality, rugged specialised small work boats in the 7 - 12m range. They must perform well in all conditions all year round in very isolated areas with minimul maintenance.